Yelverton is a fairly large, pleasant village to the east of Poringland. I hope that I may be forgiven for thinking of it as the outer limits of Norwich commuterland; beyond here, south-east Norfolk turns into rugged fields with little villages huddled away from each other, the roads taking on the patterns of the past. 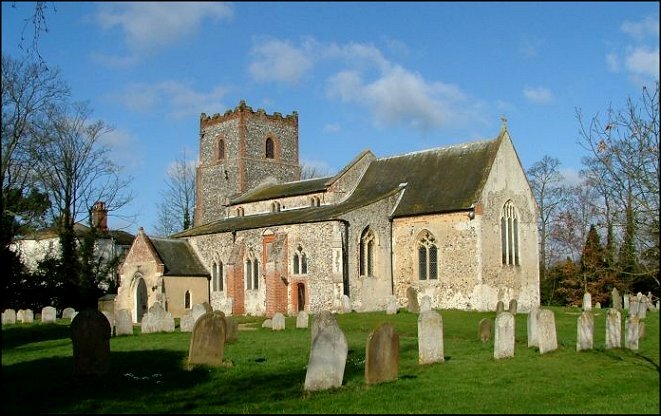 Yelverton isn't far from the Beccles to Norwich road, its houses settled on the wide village street where St Mary sits in its walled graveyard. Some churches are all of a piece. St Mary is not. 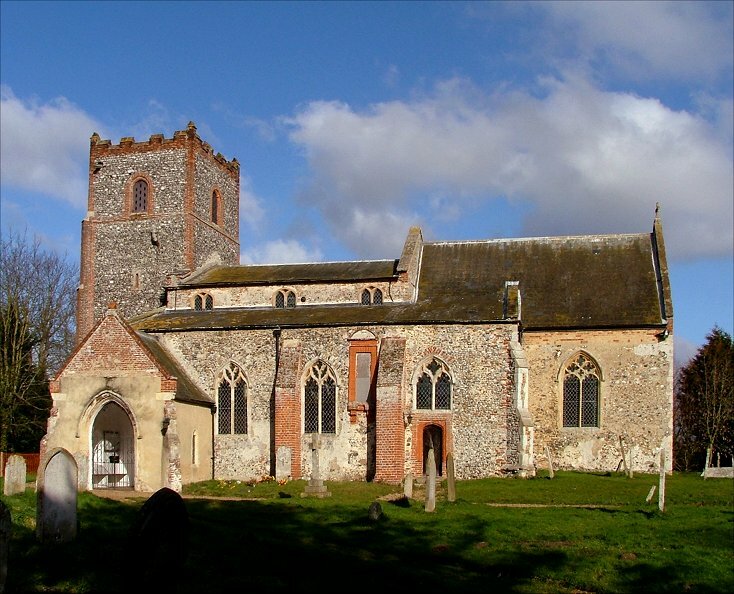 Some of Norfolk's most charming churches are those that seem to have been shaped organically by the buffeting of history, and this is one of them. Nothing is in proportion, everything seems to be from a different period. It is an absolute delight. 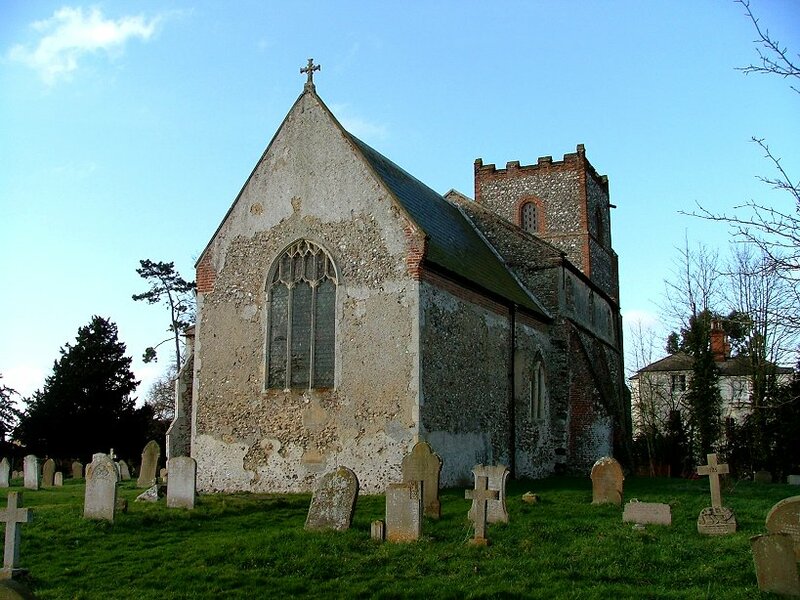 The stubby little brick tower, rebuilt in the late 17th century, and the massing of the tall chancel, squeeze a tiny little nave that even with its clerestory barely seems to peep above the roofline of the aisle. 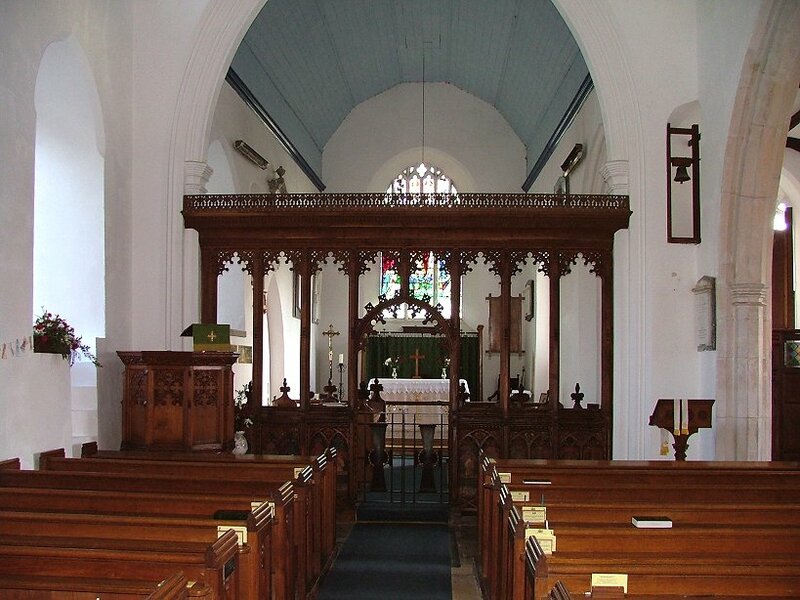 You can see straight away that here is a church which is loved and cared for. 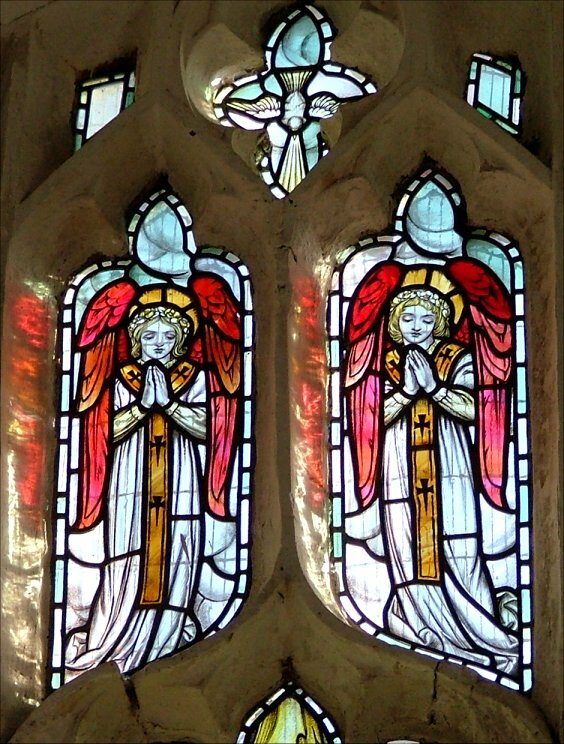 The most recent addition to the building is the pair of stained glass windows in the porch, which date from 2001. 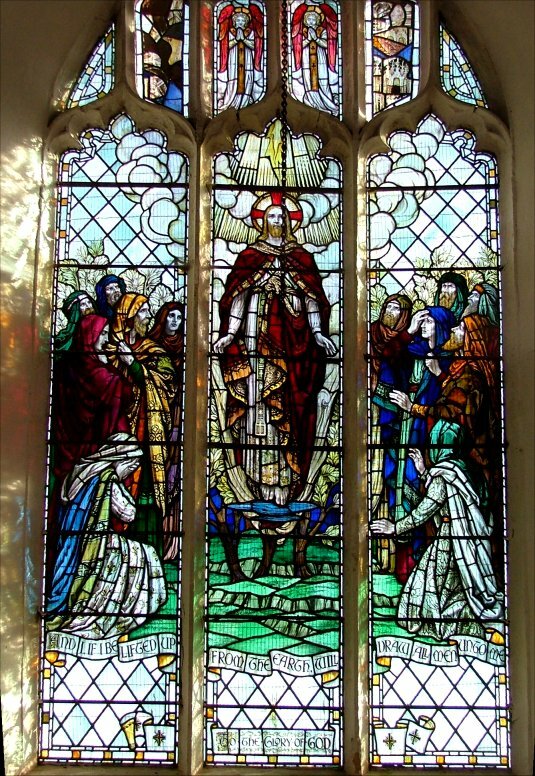 They use the themes of fire and water to complement the morning and evening light; that to the east depicts Shadrach, Meshach, and Abednego with the angel in the fiery furnace. You step inside to a wide, light, squarish nave. There is no north aisle, but the south aisle is as wide as the nave itself. Everything is well cared for and beautifully presented. 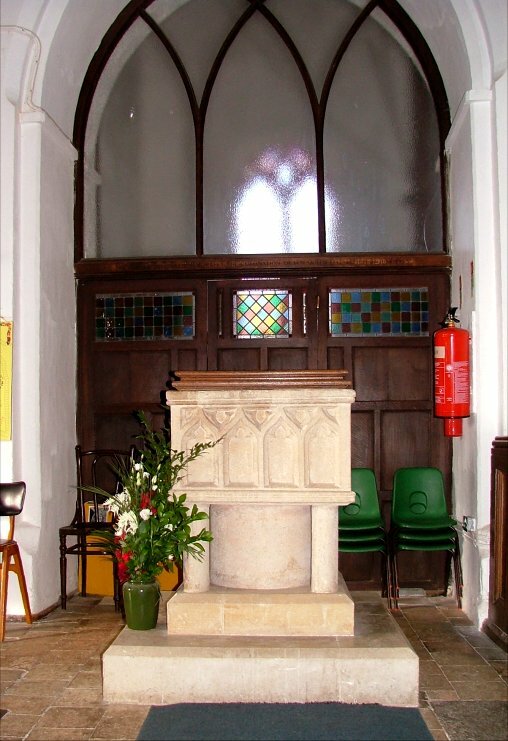 The square Norman font has traceried panels which may be recut. They are echoed in the screen to the tower. 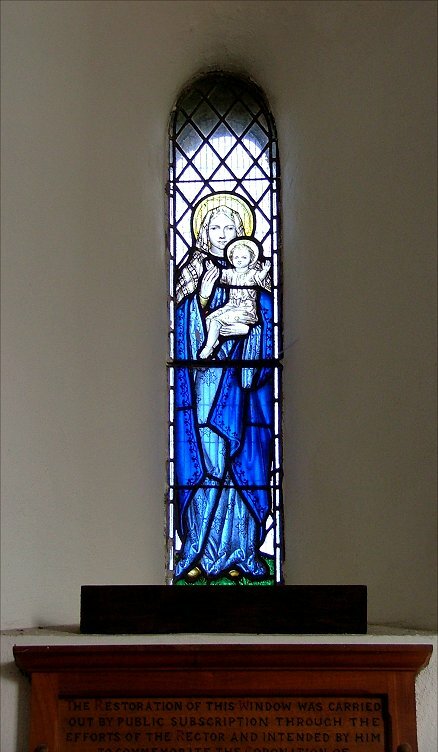 There is some good 19th and 20th century glass, notably the Ascension in the east window and a gorgeous little Madonna and child in a lancet on the north side of the chancel. 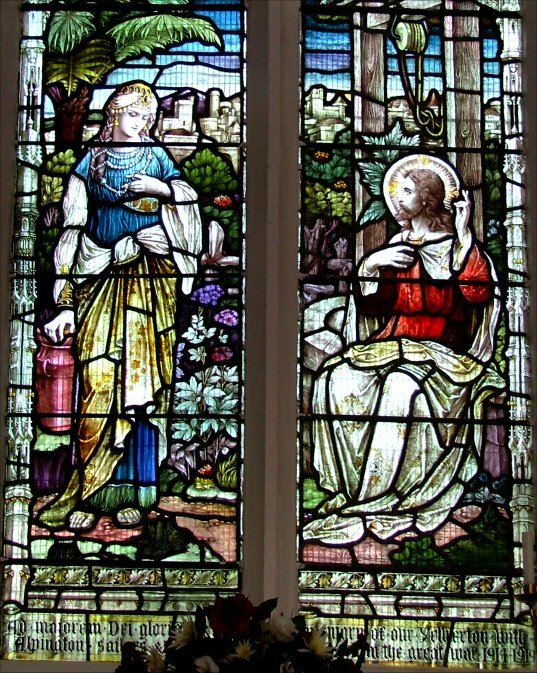 The image of Christ with the woman at the well is also a good one. 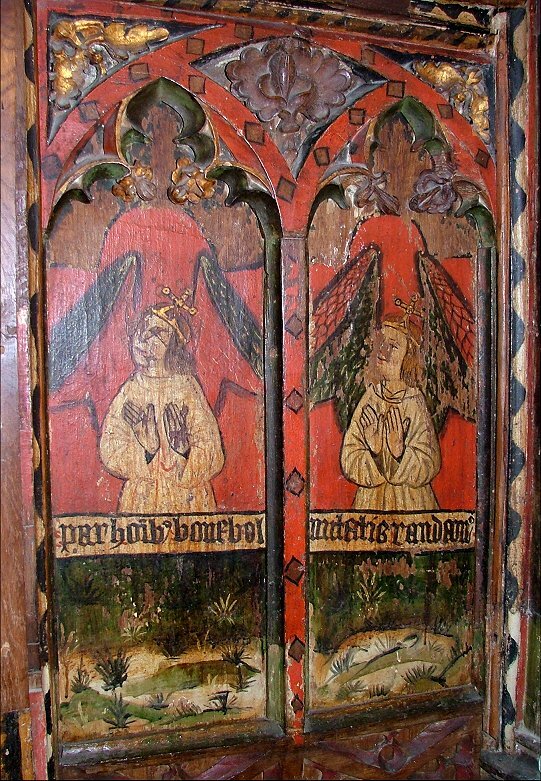 Yelverton's great treasure is the dado of the former rood screen. 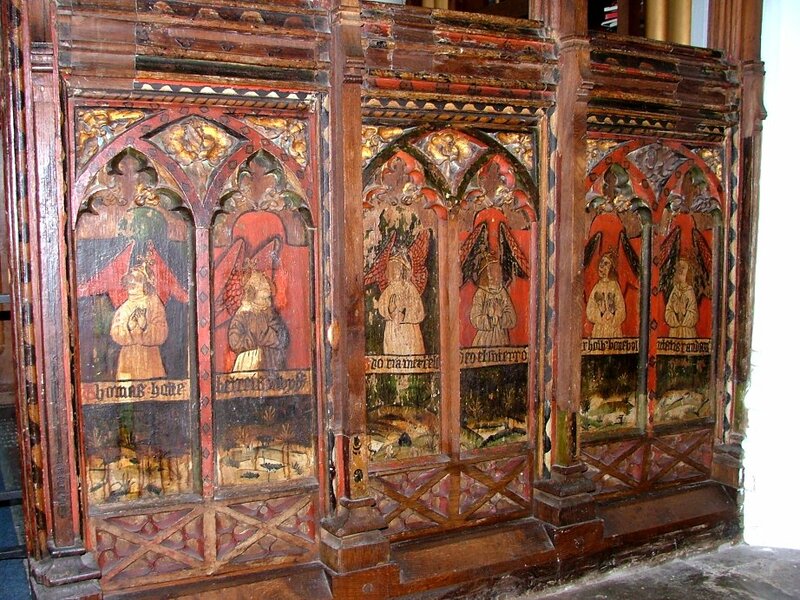 It has twelve panels which depict, unusually, angels. 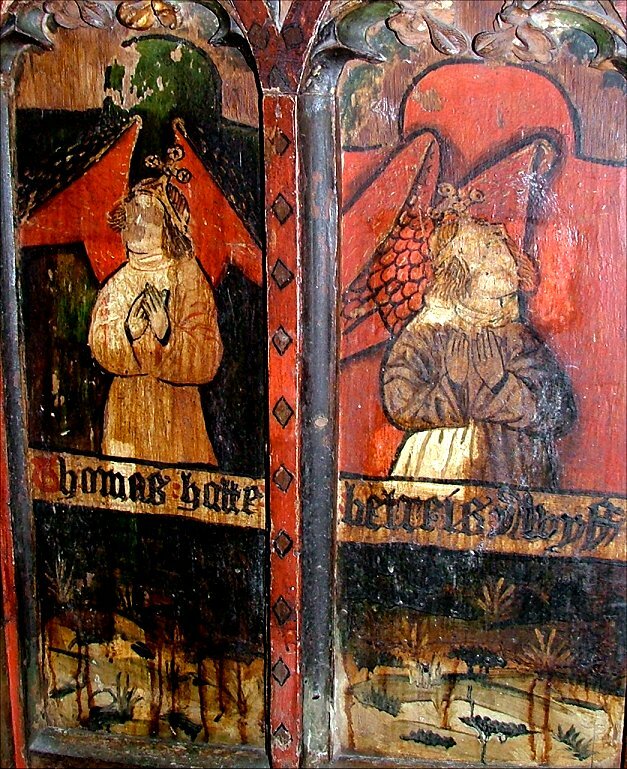 They hold a banner which contains a dedicatory inscription to the donors, Thomas and Betreis Hotte. 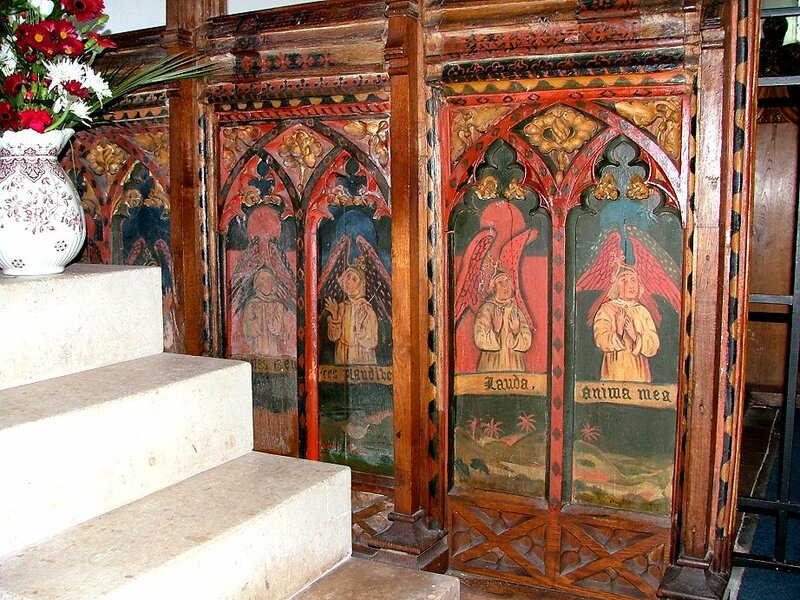 The panels on the north side, which is partly obscured by some brutal concrete steps to the pulpit, have been repainted. 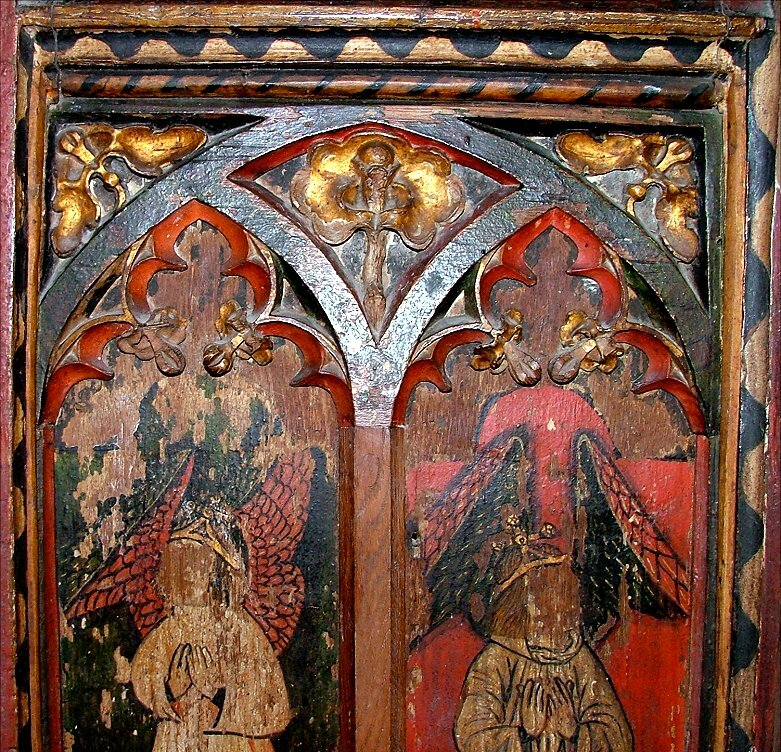 Those to the south have been rather more carefully restored, and we can see that the angels do not appear to be holding symbols or implements of any kind. They all wear similar crowns. A great curiosity is the landscape that runs under their feet from one panel to another, depicting trees and hills. A 15th century vision of Paradise, perhaps? 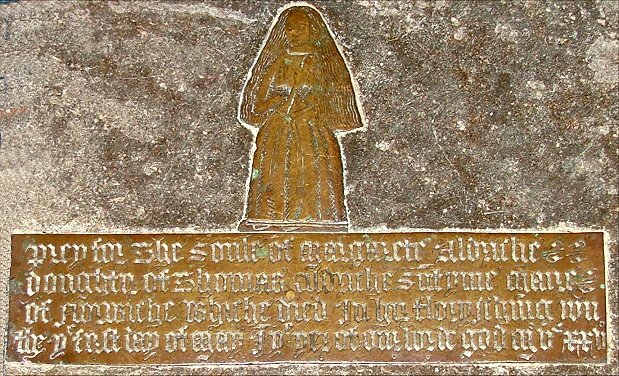 Near to the screen is a pretty little brass image of Margaret Aldriche, with an inscription asking us, in English, to pray for her soul. 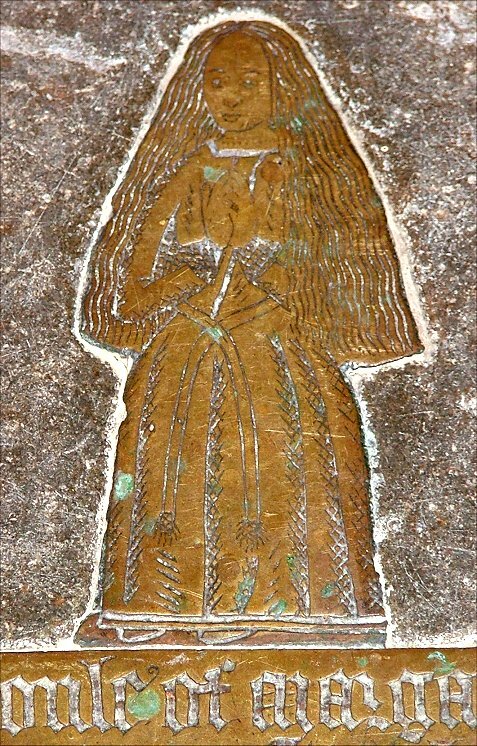 There's another pre-Reformation inscription in English nearby. 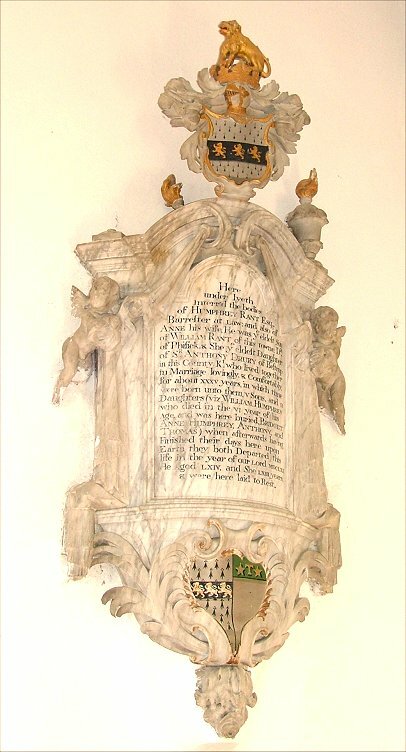 On the other side of the theological divide, Humphrey Rant, who sounds as if he has stepped out of the pages of Dickens a century or so later, has a gloriously over-the-top memorial in the south aisle; fortunately, the aisle is wide and light enough to contain its exuberance. 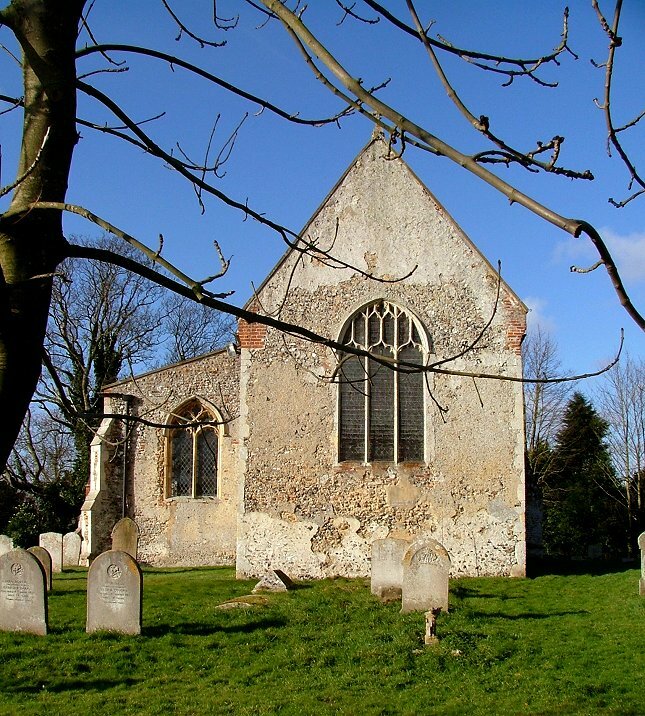 While looking at it, you might notice a tiny thirteenth century coffin stone for a child in the south-east corner. It is rather moving. 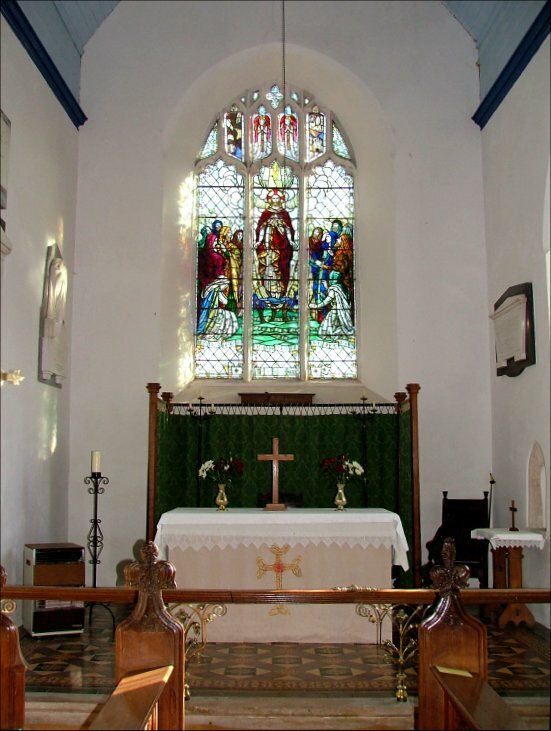 St Mary is a delight of a church, a building to uplift the spirit and the imagination, and as friendly and welcoming as all the other churches in the Bramerton group. I look forward to going back.